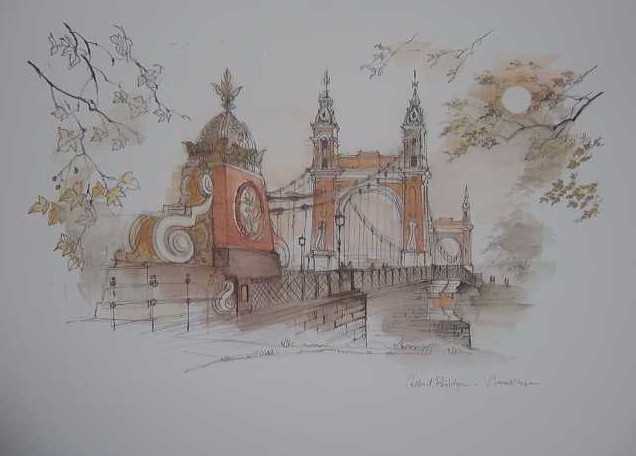 Lovely water coloured sketch of Albert Bridge, London - one in a set of 6 prints of sketches along London's River Thames. 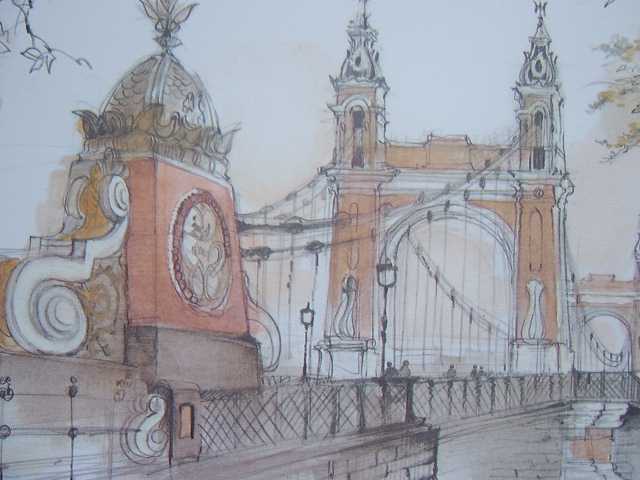 Unframed and unmounted this 420mm wide x 290mm high (A3 size) print will look fabulous when framed. Copied on heavy duty quality paper. The print will be despatched rolled in a protective tube.